Manage your leads, contacts, opportunities and closings right from your Outlook or GMail Inbox. 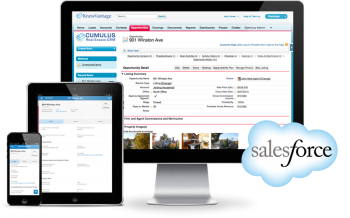 Designed for residential and commercial real estate, Cumulus is completely mobile-ready. Never be more than a touch away from all of your customer, pipeline or transaction information. Cumulus helps you be more effective whether you’re responsible for the entire business or just your own customers and leads.